New Baleno looks stunning in Red. What's your favourite colour? Maruti Suzuki recently launched the new Baleno facelift in India this week. The new car comes with many small tweaks across the interiors and the exteriors. The prices for the new Baleno start at Rs.5.45 lakh, ex-showroom, Delhi. 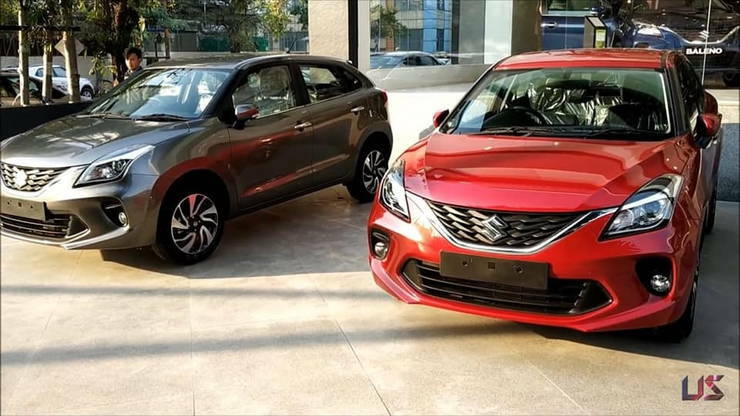 The 2019 Baleno is available in 11 variants and the top-end version costs Rs. 8.77 lakhs. 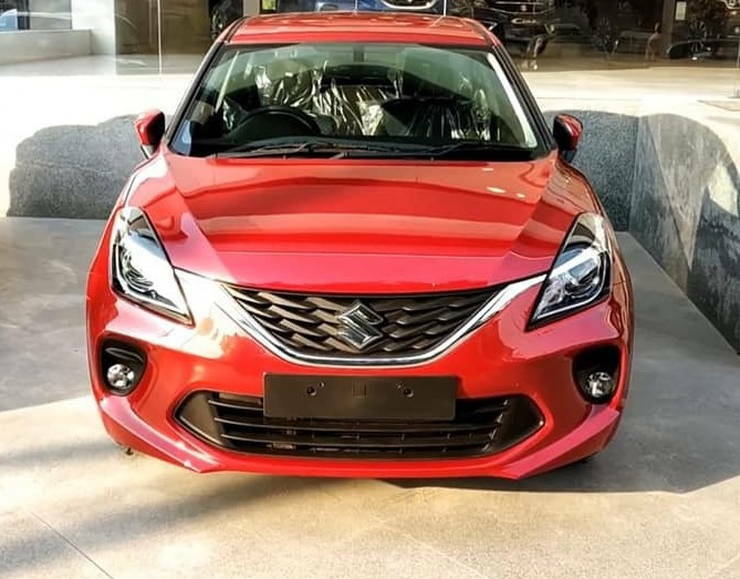 Maruti Suzuki is offering six different paint shades with the car and down below is a Baleno with Phoenix Red paint shade on it. The Baleno was available with a red colour option earlier too but the new facelift certainly carries it better. The facelift given to the Baleno is more of a minor tweak job rather than a radical change. The engines remain the same, most of the features along with interiors remain the same and even the design is almost the same. Change on the car include a new front fascia, which now sports a new bumper. The air dam has been made larger and the grille too is now more expansive. The alloy wheels offered with the facelifts are new too. The Baleno now gets new seat fabric, which is finished in two-tone black and navy blue. The touchscreen infotainment system too has received an update. IT now comes with Maruti’s custom “SmartPlay Studio” UI, which was first seen in the new Maruti Suzuki WagonR. It also gets the Android Auto and Apple CarPlay connectivity, unlike the Maruti Suzuki WagonR’s infotainment system. The interior also sports few other minor touches which remind one that its a new car. Safety has been taken quite seriously this time by Maruti and the car comes with several safety features as standard. The car comes equipped with ABS+EBD, dual airbags, brake assist, pre-tensioner and force limiter seat belts, front seat belt reminder, ISOFIX child seat restraint system, speed alert system and rear parking sensors. This is a pretty good move by the company as passenger safety should be of utmost importance for the company. Also, the upcoming safety norms by the government (BNSVAP) have led all manufacturers to beef up the safety features of their cars. The new Maruti Suzuki Baleno gets powered by the same set of 1.2-litre petrol and 1.3-litre diesel engine options as earlier. The 1.2 litre four-cylinder petrol engine produces 82 Bhp of power and 115 Nm of torque. The 1.3-litre diesel engine produces a maximum power of 74 Bhp and 190 Nm. The petrol engine gets CVT automatic transmission as an option but the diesel engine option only gets a manual 5-speed transmission. Among all the six shades, we bet that the red (Phoenix Red in Maruti’s language) looks the most attractive and poppy. However, white and silver will remain the top selling colours as they are the most sold shades in India and worldwide. If you ask us however, we will go for red with our hearts out.